Forget mousy. Get bold and sassy with Moxie Magnifying Mousse! To learn more about Moxie Magnifying Mousse, please contact your MONAT Market Partner. 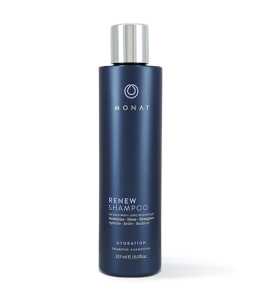 Infused with REJUVENIQE®, which helps to condition the hair while providing a touchably soft hold. Supports weightless body and volume without any stiffness or crunchiness. This revolutionary blend of clinically proven ingredients assists in achieving an all-over fuller look and feel for thin and flat strands. The inclusion of Crodasorb™ helps protect the hair against harmful UV rays which can lead to dryness. 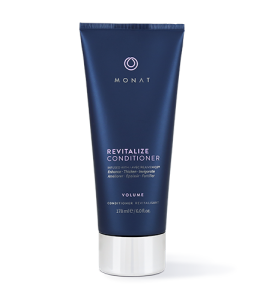 This product is appropriate for all hair types and textures, including chemically and/or color treated hair. Struggling with mousy, thin hair that won’t do what you want it to? You weren’t meant to be subtle; grab Moxie Magnifying Mousse and amplify your style. Regular mousse adds volume, but often leaves behind a crunchy, stiff feeling. Infused with REJUVENIQE® Oil Intensive, our volumizing wonder conditions the hair, while supporting weightless body and volume for an all over fuller look you’ll love. 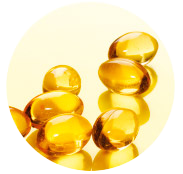 Plus, Crodasorb™ keeps those harsh UV rays at bay, so dryness becomes a thing of the past. You don’t have to look under a microscope to see how this mousse transforms. Dispense an egg-sized amount and distribute evenly throughout damp hair focusing on roots for maximum volume. Work generously through the hair from the root to the ends. Water, Polyquaternium-69, Palmitamidopropyltrimonium Chloride, Caprylyl/Capryl Glucoside, TrifoliumPratense (Clover) Flower Extract, Pisum Sativum (Pea) Extract, Glycerin, Acetyl Tetrapeptide-3, Tocopherol, Limnanthes Alba (Meadowfoam) Seed Oil, Crambe Abyssinica Seed Oil, Camellia Oleifera Seed Oil, Solanum Lycopersicum (Tomato) Seed Oil, Daucus Carota Sativa (Carrot) Seed Oil, Citrus Limon (Lemon) Peel Oil, Citrus Aurantifolia (Lime) Oil, Citrus Aurantium Bergamia (Bergamot) Fruit Oil, Adansonia Digitata Oil, Mauritia Flexuosa Fruit Oil, Cocos Nucifera (Coconut) Oil, Gardenia Tahitensis Flower Extract, Moringa Oleifera Seed Oil, Caryocar Brasiliense Fruit Oil, Helianthus Annuus (Sunflower) Seed Oil, Cinnamidopropyltrimonium Chloride, Dextran, Sodium Cocoyl Glutamate, Polyglyceryl-5 Oleate, Glyceryl Caprylate, Citric Acid, Butylene Glycol, Fragrance, Benzyl Alcohol, Ethylhexylglycerin.